When she started her career as a content editor for financial planning books on freelancing basis, little did she know that one day she would be heading her own startup. Right from the start of her career she gaining vital experience and learned the importance of earning and strengthening the confidence to do something unique for her. pursue their education in any form in India or Abroad. TUTORS CIRCLES is a boutique Kolkata-based educational consulting company. We offer comprehensive and personalized services to meet individual student needs. Our services range from mid teenage education all the way through graduate school. What makes us different from so many other education companies on the market is that our approach is individualized. We realize that no two students have the same profile, and we cater our services to meet the individual needs of our students. 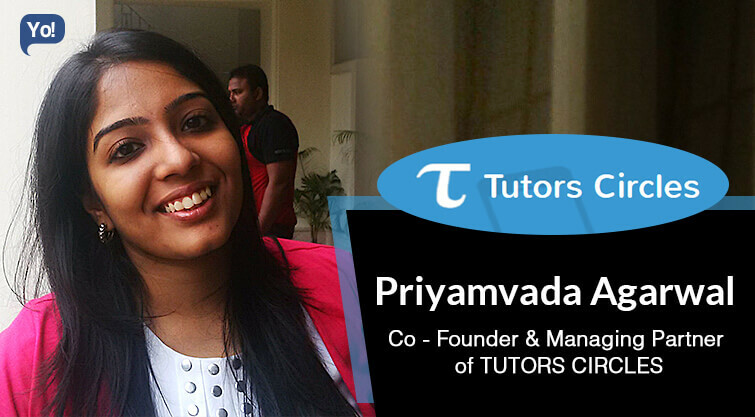 I had been working in the field of academics for nearly five years before beginning TUTORS CIRCLES.I have always been interested in my student’s academic and overall development, and I wanted to build a company that embodied the values I believe in. The biggest lesson I learned was to have faith in my abilities and to stay positive. A positive outlook often leads to positive outcomes. I’m always thinking, “What good can come out of this.” Embodying that mentality keeps me going. The first couple of months were very challenging, as me and my partner were trying to figure out ways to market TUTORS CIRCLES. Nearly all of our business spreads through word of mouth. This is great because we find that the best way for parents to hear about us is through other happy parents! However, word of mouth takes time to spread and figuring out where we could get the most effective advertising was a challenge. The panacea to all the problems is to break the challenges into smaller segments and then analyze them. That is exactly what we did here. We divided our segments, built up strong team, worked on numbers, and made every student who came us happy with our good service. Apart from being a team, we are also a family. Hence, we firmly believe in letting everyone take independent decisions by coming up with creative and unique ideas! We understand how important it is to be happy where you work! Whatsapp connects the entire team together 24×7. Gmail and Facebook helps us communicate with students. Observing and make a mental note of everything happening around you. Every minute life teaches us something new. Find what you are passionate about and put your all in making a career out of that interest. You can be pleasantly surprised by where it will take you. A positive outlook often leads to positive outcomes. We believe in constantly learning, growing and developing. Having said this, we wish to expand the company’s variety of services into something much more wider. We want to help motivate as many students as possible. We are moving at expansion in 2 ties cities across the country. Doing what I love to do is always exciting. I now have the opportunity to do exactly what I want. I also think it is an accomplishment to be working for myself at the age of twenty-seven.